The Monro has long been one of my favourite places in Liverpool to stop by for a drink. Be it the start of a night out, after an afternoon of shopping or a chill in the courtyard. I can’t believe how many times I’ve been here (or how many French martinis I’ve drank) and never actually eaten here. The Monro is an award winning gastro pub with an ever changing menu of innovative dishes, made with the freshest locally sourced ingredients. Roaring fire places, cosy nooks, a courtyard in what used to be the old stables, this 3 floor listed Georgian building still houses some of the original features it was built with in 1746 – imagine the stories these walls could tell? With so many original features and only a hint of modernity, you could easily believe you’re back in it’s original time dining with the merchants family who would have once lived here. You know me, I love my food, so when Mr.Man and I decided to treat ourselves to lunch out one weekend, I knew it was time to finally tickle those taste buds and devour…I mean, explore, The Monro's menu! 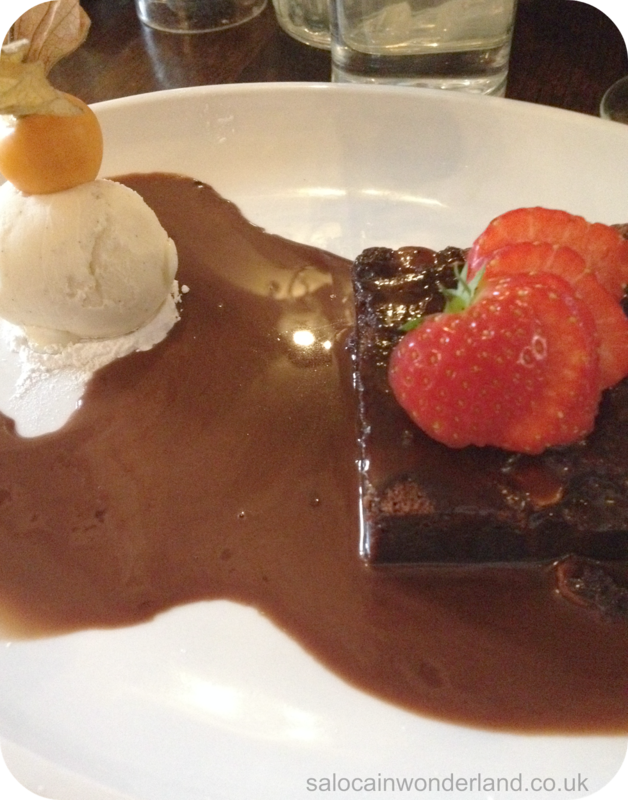 We chose to eat off the two course lunch menu, which comes in at just £12 per person. They offer a similar deal of an evening too for £14 per person. 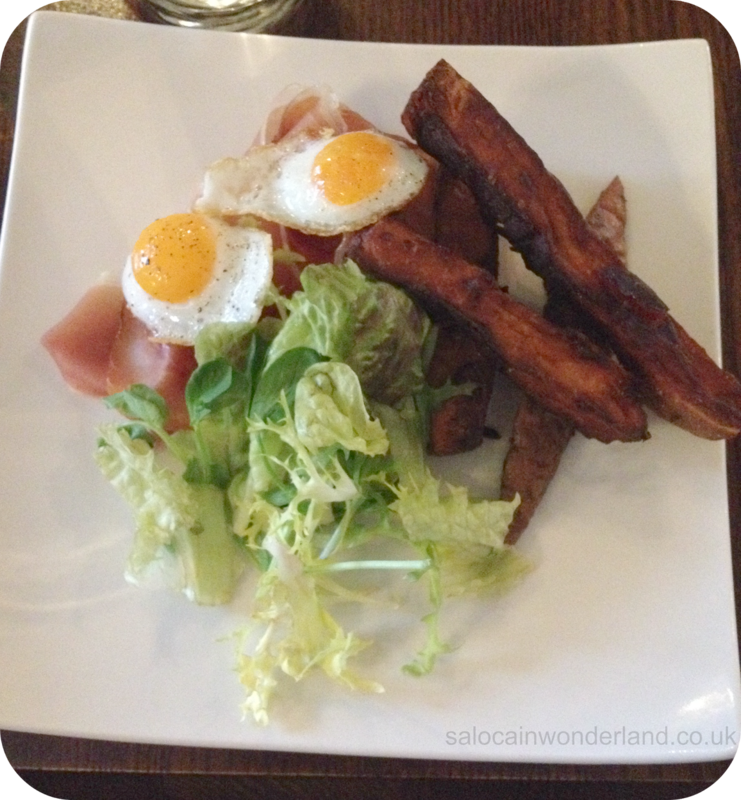 I chose the Parma ham served with quails eggs, sweet potato chips and a baby leaf salad. Mr.Man had the soup of the day, which I believe was a traditional tomato soup with fresh bread and butter. Hands down, one of the best starters I’ve had in a long while. The quails eggs where cooked to perfection and the Parma ham was so fresh and thinly sliced, just the way I like it. I’m obsessed with sweet potato right now and the chips, though a touch over cooked, were delicious! It was all very light and set me up nicely for my main. Mr.Man said his soup was lovely, full of flavour and just the right amount. 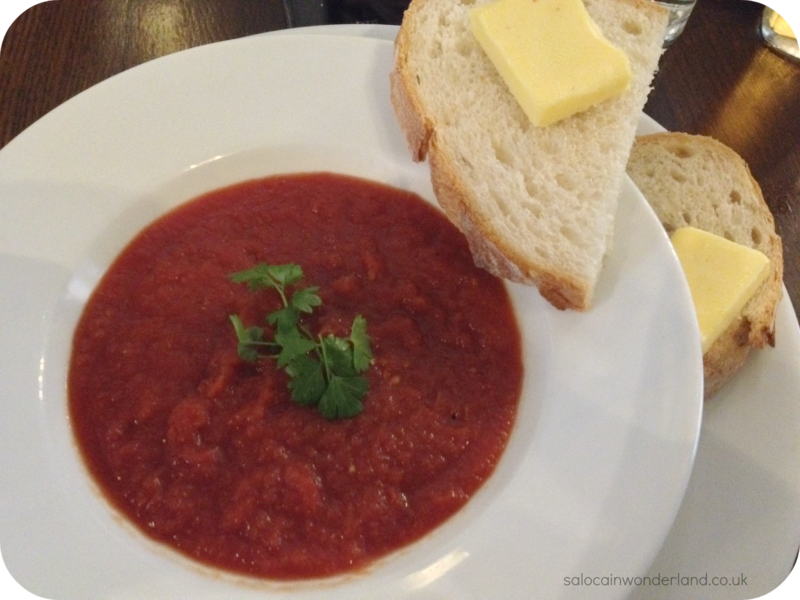 The soup was pretty thick too – my favourite kind of soup! 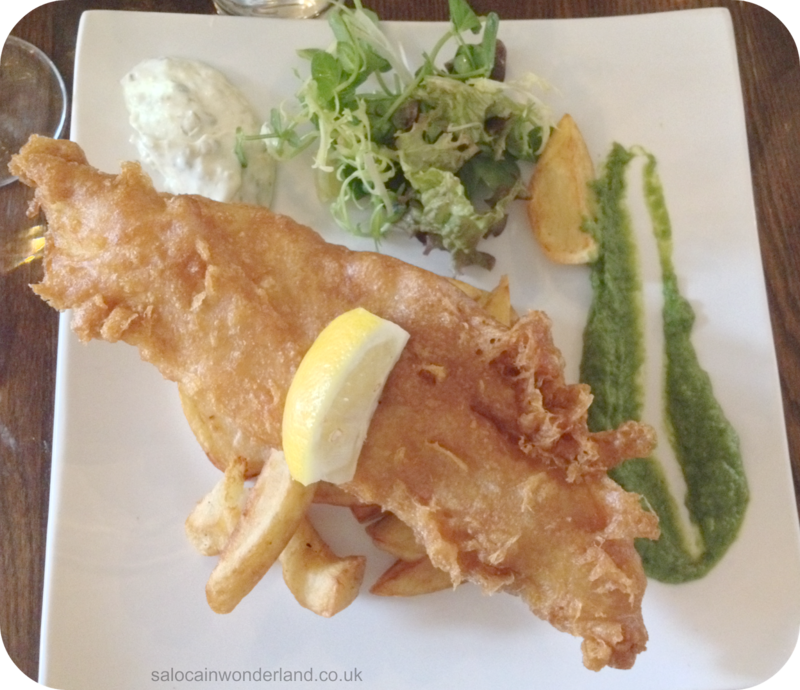 We both chose the beer battered haddock with hand cut chips, minted pea puree and tartar sauce. Sometimes you’re just in the mood for good ol’ fish and chips! We’d seen this coming out on a few tables and it looked (and smelt!) amazing. The portion was huge too! The chips were a bit too stodgy and thick for me but the fish was wonderful. After cutting into the crispy batter the fish was so white and flakey, it fell apart at the slightest touch. No bones which was a bonus too! It tasted so fresh and with a dollop of tartar sauce, every mouthful was enjoyable. The minted pea puree was delicious too. I despise mushy peas but this was so thoroughly blended there wasn’t a pea chunk in sight! Very flavorsome and a great alternative to the tartar sauce. Mr.Man was pretty full after his main but I couldn’t pass up on dessert so ordered myself a cheeky chocolate and hazelnut brownie with chocolate sauce and ice cream. Oh me oh my, it was a sugar addicts delight! The brownie was slightly warm and so moist! Slightly stiff on the outside but still soft and gooey in the middle, just as a brownie should be. I can’t really eat ice cream but I tried a little and it was lovely, Mr.Man tucked into most of that and thoroughly enjoyed it! The place was pretty busy, it was a Saturday afternoon after all, but we had no problems getting a table and service was pretty swift. 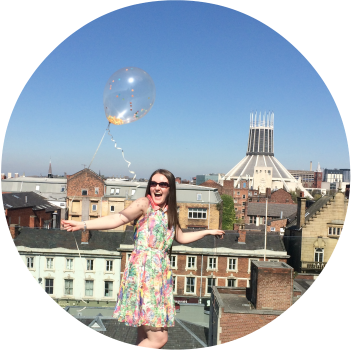 I’d love to go back and try their award winning traditional scouse and the classic Eton mess looks delicious! The food was certainly top quality and for that price, an absolute steal! 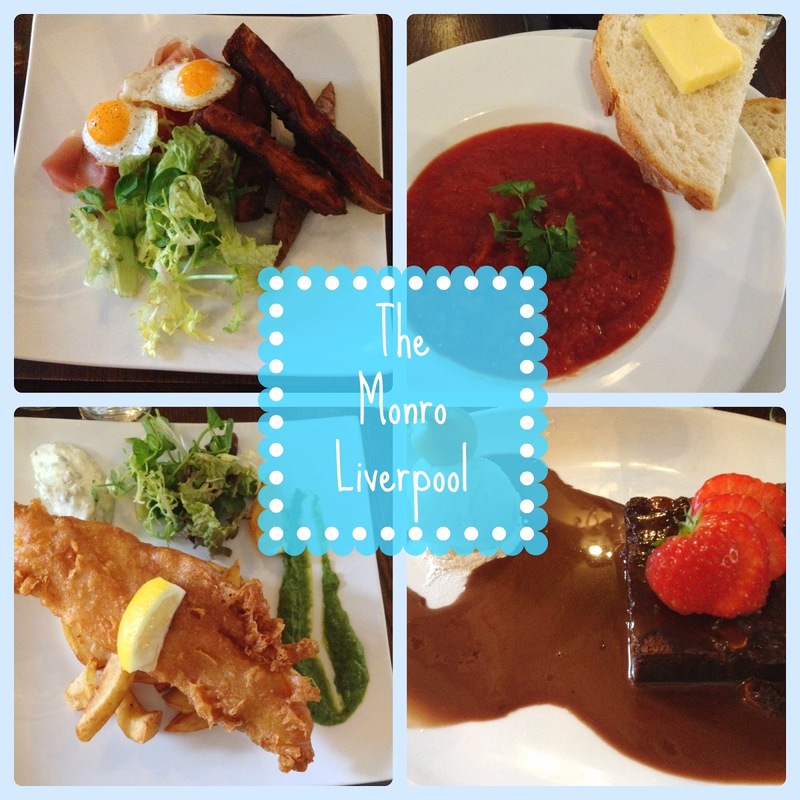 Have you ever dined at The Monro? Let me know in the comments below! Hi Sarah, Thanks for this great review and so pleased you enjoyed it. We're continuing to make more changes to our menu so watch this space. Noticed your comment about the chips, which you said we're a little stodgy. This is due to the chip friar operating 20 degrees below its correct temperature. It has been fixed! So glad you liked the review! We had a great time and the food was delicious! We will definitely come back and check out new additions to the menu, I've got my eye on the scouse! Would love to check out one of your dining events too! I heard soooo many great things about The Monro! The food looks amazing! I would of got your starter rather than the soup! You are also a gal like me! Dessert is a must have! I love how the blog gives me an even better excuse to eat dessert hehe! You have to make sure you check this place out, delicious and such a nice atmosphere. I love their tiny little beer garden in the back too! That must have either been a really tiny omelet OR you used a ton of quails eggs! They where lovely, though I had no idea what to expect, it was the first time I've tried them! Are you not suppose to make omelets from quails eggs?? Ohh it was, so rich and oo, just the way I like them! A re-visit is a must, so many tasty treats on the menu! It was super nice! Wish I had some of those sweet potato chips right now!